Home Minister Asaduzzaman Khan Kamal is “embarrassed” that the probe report of the killings of journalist couple Sagar Sarwar and Meherun Runi has not yet been filed after seven years of their death. 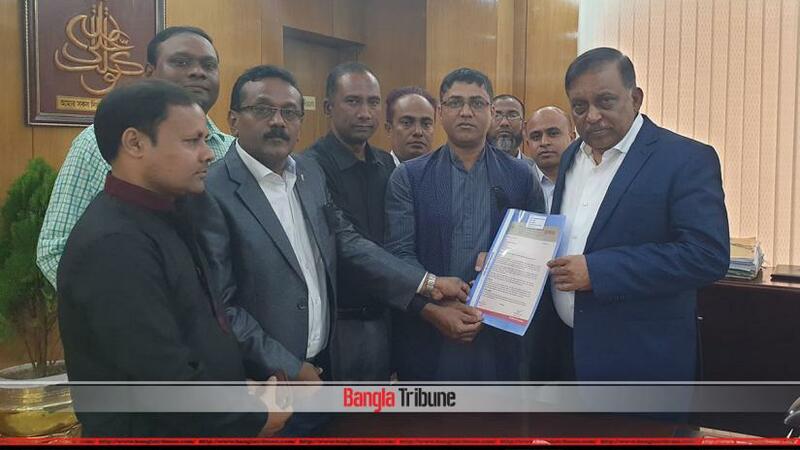 “The government sincerely wants the Sagar-Runi murder solved,” he told the media on Monday (Feb 11) after a Dhaka Reporter’s Unity delegation went to the home ministry with a memorandum demanding justice for the journalist couples’ murder. He hoped that the case would be resolved soon and the killers would be caught. The journalist leaders called on Kamal’s intervention to ensure a fair probe over the matter and bring the perpetrators to justice. They said that the probe report which is supposed to be filed with the court on Feb 17, be submitted without further delay. On the night of Feb 11 of 2012, Machranga Television news editor Sagar and ATN Bangla senior reporter Runi were murdered in their own homes. Runi’s brother filed a case with the police and since then the dates were given 62 times for the submission of the report but the investigating body, Rapid Action Battalion wanted more time. The latest date for submission was Jan 9 but since it was not done, the court fixed Feb 17 as the next date.